All the read’s I do are supplied are honest, fair and reflect my personal opinions. I know much work and emotion goes into writing every book so I am constructive in my approach and highlight the key aspects which stand out for me such as voice, characterisation, plot and dialogue. I also try to see it from a customers eyes a lasting impression on people so they choose to go purchase your book. If you wish for me to also review the book and let me know in the comments section. I would post it at your desired time. You can also choose this option at a later date if you desire it is absolutely o.k. Here is what you can expect if you chose that option. All the reviews I publish are honest, fair and reflect my personal opinions. I know much work and emotion goes into writing every book so I am constructive in my approach and highlight the key aspects which stand out for me such as voice, characterisation, plot and dialogue. I also try to impart a lasting impression on people so they choose to go purchase the book. I want to make sure my reviews are engaging so links to my life, current affairs, author spotlights, book blast, cover reveals, blog tours, guest blog appearances, (soon to be adding: quizzes and giveaways) are just a few of the approaches I may take. If you’ve got a great idea for a fresh approach I could consider, or would like me to write a guest blog, I’d love to hear from you via the ‘Contact Me’ tab on the main page. I also maintain the right to bring in a guest blogger for review. They will follow the same strict format and template I use. I allow them to post the title,author,book cover and statement of guest review on their blog along with a link to take them straight to where the review is originally published. * There is nothing wrong with these books, they are just not for me. I publish my reviews on the Kristysbrainfood.com and each is duplicated on Goodreads, Amazon, Barnes & Nobel and different writer’s forums. I also promote the reviews via Twitter, Pintrest, About.me, Ello, LinkedIn, Google +, Tumblr, and Facebook via my personal and community pages. I also will publish a review on any site an author or publisher wishes. Check out my blog first and make sure I am a good fit. Ask for references if desired. Check it fits under one of the areas in the ‘what I love to review’ section. You can also gauge if your book may be of interest to me by looking at the reviews I’ve already written here. Complete the form on the page, or if emailing request, make sure Book Review Request is in the subject line. 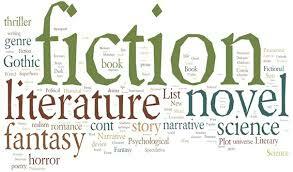 The name of the novel, genre and author. Where the book can be found and purchased. A summary of the novel in up to 150 words and/or the blurb. Social media details of the author. Please let me know if there is a deadline that I’ll need to consider or to respect in scheduling. Step 4. It’s All me! I will confirm with you within 7 days if accepted. **All reads or reviews will be completed within 45 days of acceptance, unless a deadline needs to be met or we have a prior agreement at time of acceptance. If my schedule is booked I will let you know and a date will be secured at time of acceptance. If I accept and all terms are agreed upon, I will require a full copy in one of the following formats: .mobi, .epub, .pdf, nook, smashwords codes, amazon gift or physical print via mail. I’ll give you an estimate as to when I will publish the review and will always email you the link. I promote all reviews through the outlets mentioned earlier in this guide. If you have a specific request for the review to be posted somewhere, let me know and I will try to accommodate you, If you would like to use part of a review for your publicity, I’m normally happy to let you do this, but please contact me to discuss first. If you have any further questions, please use the space in the comments text box. What is the deadline date?